The high-fat, low carbohydrate ketogenic diet has garnered attention as a means of weight loss and has been used to reduce the frequency of epileptic seizures in those for whom anti-epilepsy drugs are not as successful. A study presented December 1 as a poster at the 2018 annual meeting of the American Epilepsy Society (AES) being held in New Orleans, Louisiana, indicates another benefit for the diet. The study involving 232 children with epilepsy (mean of 21.7 seizures daily, ranging from .05 to 240) who were taking multiple anti-seizure drugs (ASDs) has chronicled the success of the ketogenic diet in reducing, and even eliminating, the need for ASDs to produce relief from seizures. 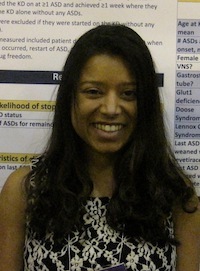 “Of the 232 children, 43 or 18.5%, became drug-free while on the ketogenic diet and 32 or 13.8% remained off ASDs throughout the ketogenic diet,” said presenter Lochan Shah, a third-year medical student at Johns Hopkins University School of Medicine, in an interview with MD Magazine®. The retrospective study involved the review of charts of all children who began the ketogenic diet at 2 Johns Hopkins affiliated hospitals from January 2011 to April 2018. The study was deliberately designed to consider only children who were taking ASDs at the time the diet was begun. Drug freedom was defined as progressing from the baseline use of at least 1 ASD (the average was 2.4) to a week or more where no drug was taken. The last ASD weaned was most often levetiracetam (28%), followed by valproate (16%) and clobazam (12%). Of those who discontinued ASDs entirely, 63% were seizure-free, 28% experienced a 90-99% drop in the number of daily seizures, and seizures were reduced by 50-90% in 9% of participants. Drug freedom came after a mean of 7.5 months after starting the ketogenic diet (range, 1.5-21 months), and persisted for a mean of 22.6 months (range, 1-66 months). The benefit was particularly pronounced for younger children taking fewer medications, especially those with Glut1 deficiency and Doose Syndrome or Lennox Gastaut Syndrome. “Patients who are refractory to AEDs can opt to try the ketogenic diet in an effort to find some relief from seizures. Other patients may adopt the diet to reduce the number of AEDs used. Parents often ask how likely it is that their child will be able to stop taking all ASDs after they start the ketogenic diet. The answer has been unknown,” explained Shah. As to why the diet produced the benefits of reduced drug use, in some cases even when the normal diet had been resumed, answers will await further studies. “Possible reasons include the reduced levels of ketones, glucose, and calories, all of which have been associated with reduced frequency of seizures. Another possibility is the prolonged metabolic changes triggered by the diet,” said Shah.